Culinary events marry together an event with a culinary experience. Bring a trained chef to your next event, to make it extraordinary. 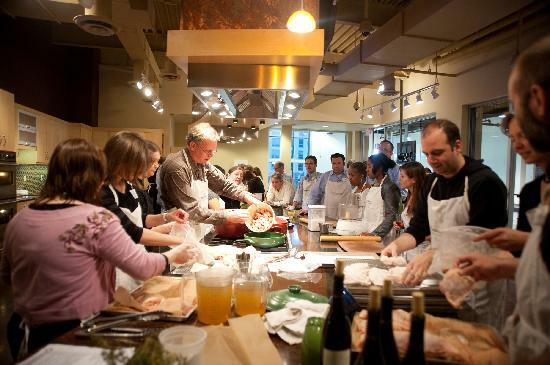 Elevate your next get together or event by offering a group cooking class. Hire a chef to customize a culinary experience that’s perfect for your group that includes step-by-step cooking instructions, and incredibly delicious food. Let us make your next dinner party extraordinary, by hiring a trained chef to help you plan your menu, prepare the meal and serve it to your guests. A special dinner party that you and your guests will always remember. Create a spectacular event for your next birthday party or bachelor(ette) get together. You and your guests can enjoy a customized cooking class that will bring fun, entertainment and great food to your party.